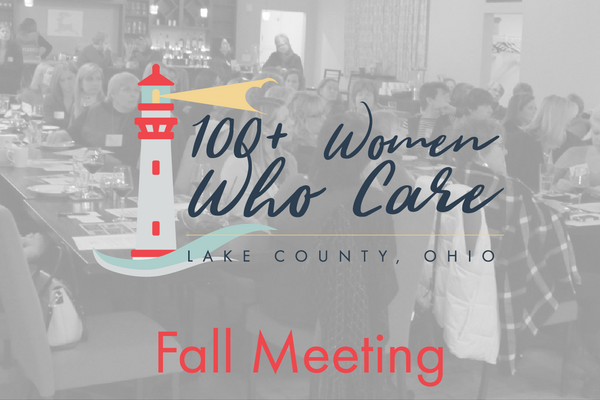 100+ Women Who Care brings local women together to collectively make a larger impact on our local community. As individuals, it can be challenging to make a meaningful contribution, but as a group we harness our power for maximum impact. Our quarterly chapter meetings are intended to be very short, lasting 60 minutes. Feel free to arrive early to mingle. We will begin promptly at 6:30 pm. Women are encouraged to bring friends interested in learning more and getting involved! In order to vote guests must commit to becoming a member. - A self addressed & stamped envelope, for tax receipt from the non-profit.